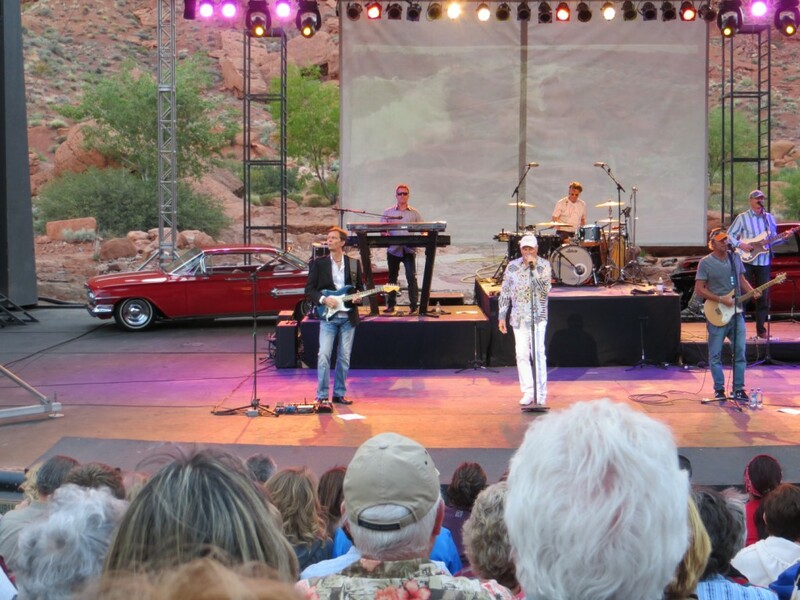 ST. GEORGE – The Beach Boys continued their legacy with a performance at the Tuacahn Amphitheatre Friday night. 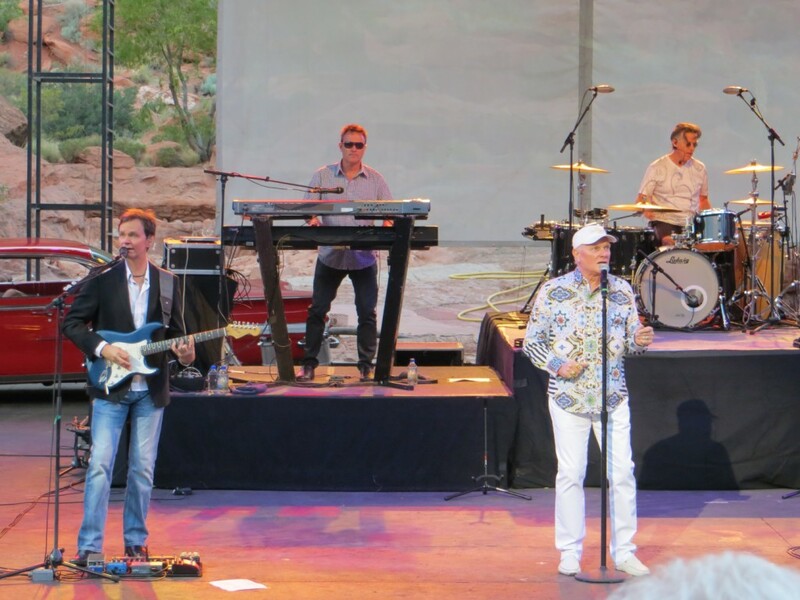 The band will take the stage for a second show Saturday night. 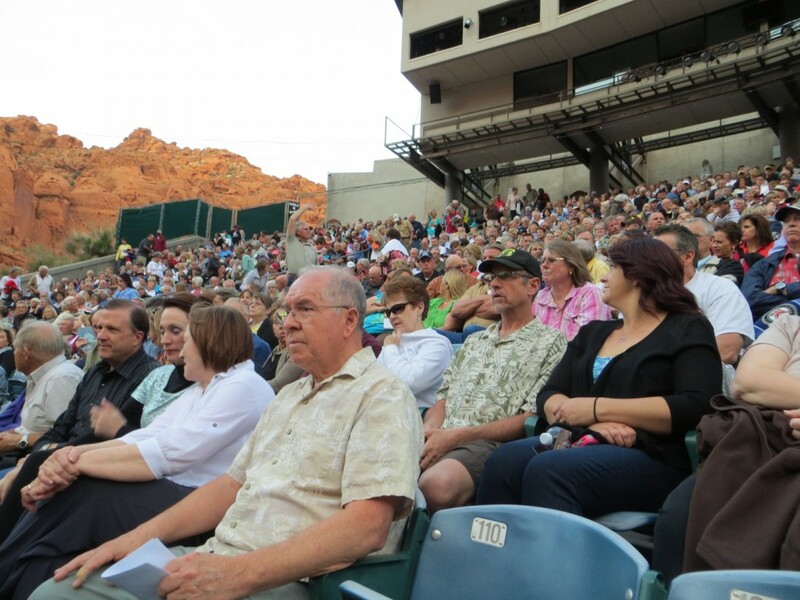 Many traveled for the packed Friday night show. 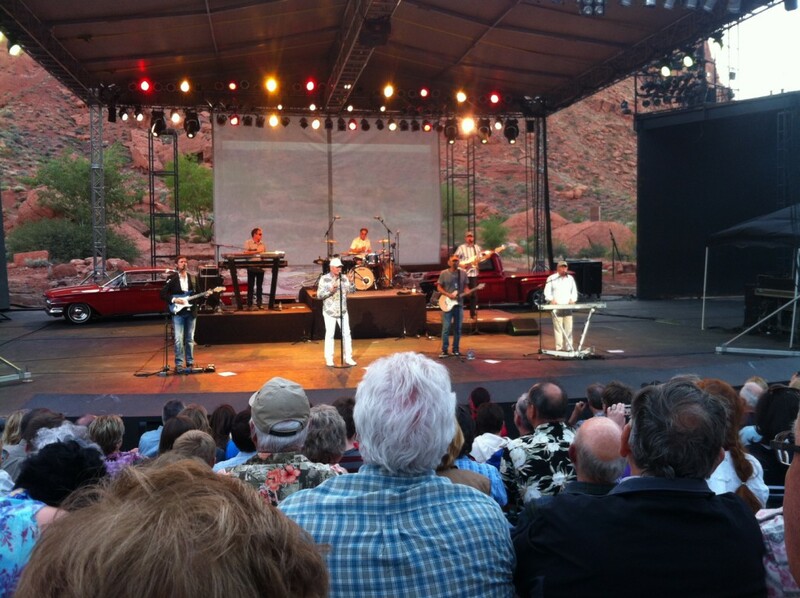 Shawn and Marie Wardle, from Draper, made drive to see the Beach Boys live for the first time. The concert had a nostalgic quality for them, Marie Wardle said. 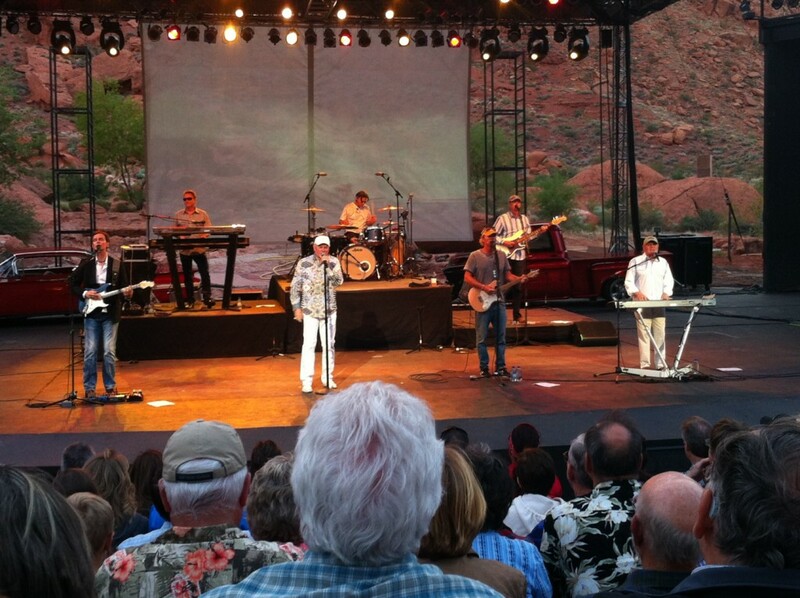 Although big fans, locals Lanny and Anne Bruder, from Ivins, had never seen the Beach Boys perform in their hometown. 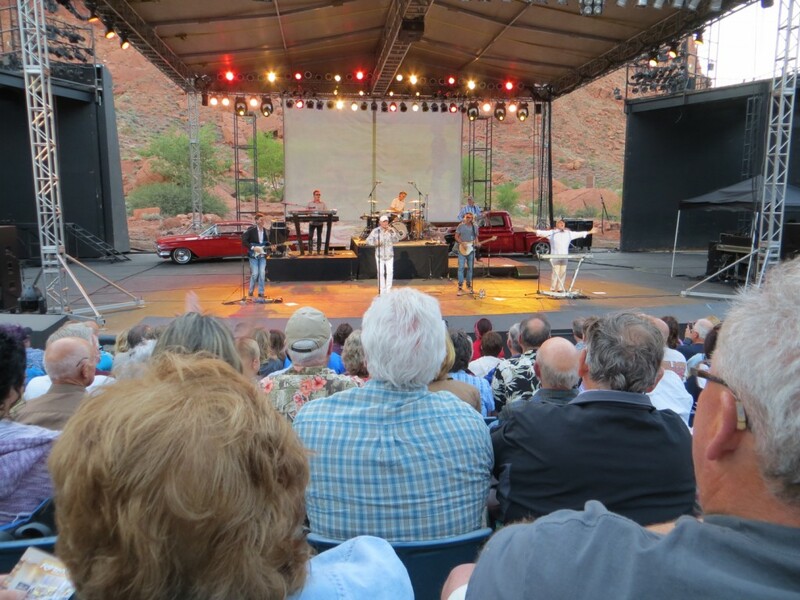 “This is our fourth time seeing them in different parts of the country we’ve been in,” Anne Bruder said. 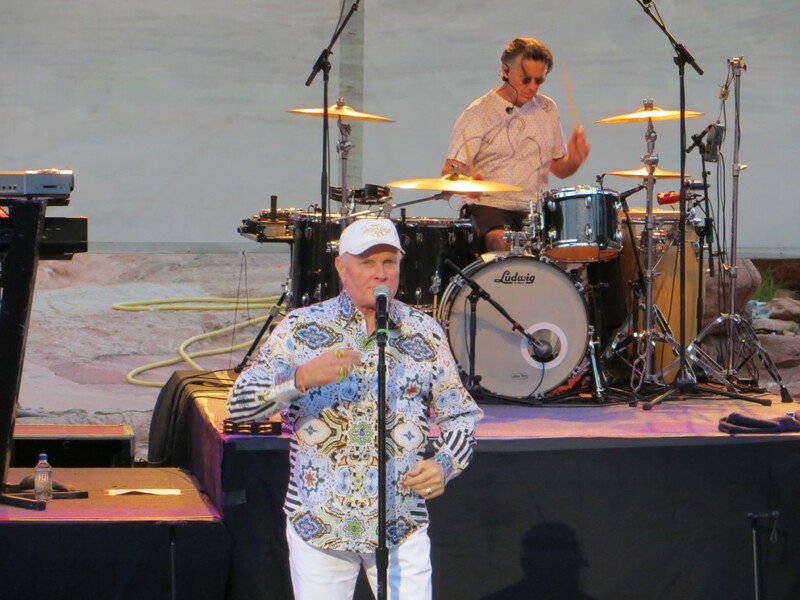 The Beach Boys started off the show with a six song set, performing songs such as “Surfin Safari,” the Beach Boys first big hit. The concert featured a large screen in the background that had projected images and video to capture the vibe and visuals of each song. 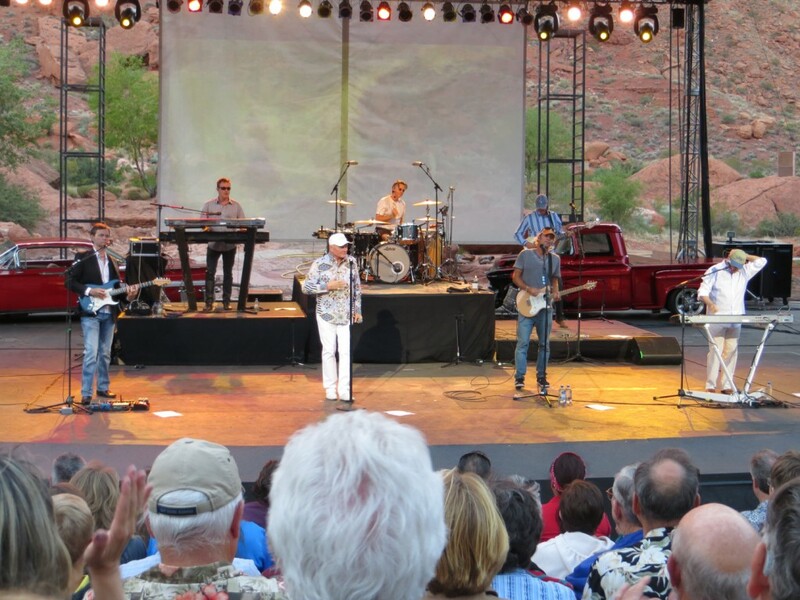 The Beach Boys are known for their live performances, but the show had several special moments that were much more than great music. 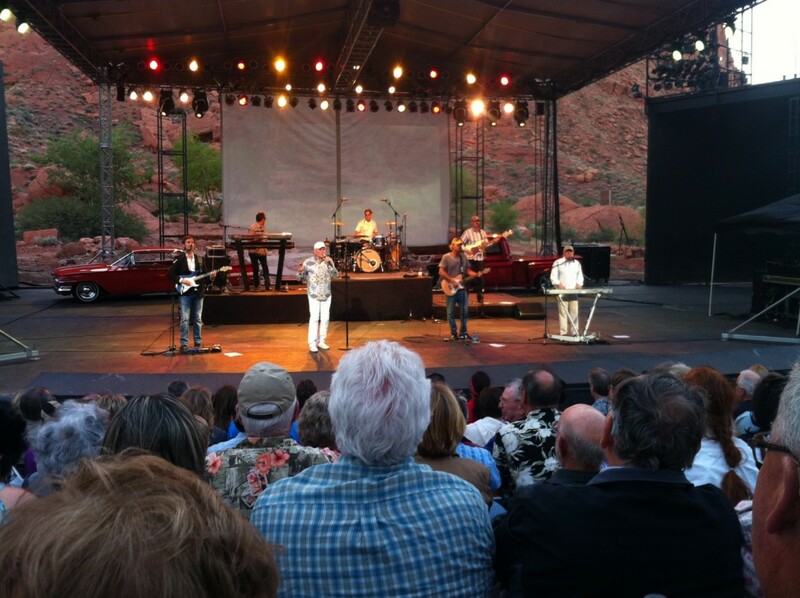 The Beach Boys harmonizing sound was inspire by the band 1948 band, The Four Freshman. The Four Freshman had a sound that was referred to at the time as modern harmony, now it is called carbon dated harmony, Love said. During the concert the band transitioned to a more reminiscent and emotional tone. Love wrote the song “Pisces Brothers,” a tribute to fellow musician George Harrison of the Beatles. The song was release on what would have been Harrison’s 71st birthday, Feb. 25, 2014. During the performance of the song, the large screen showed images of Harrison. Love turned around and stared at the images of his fellow musician and friend, causing an emotional moment. 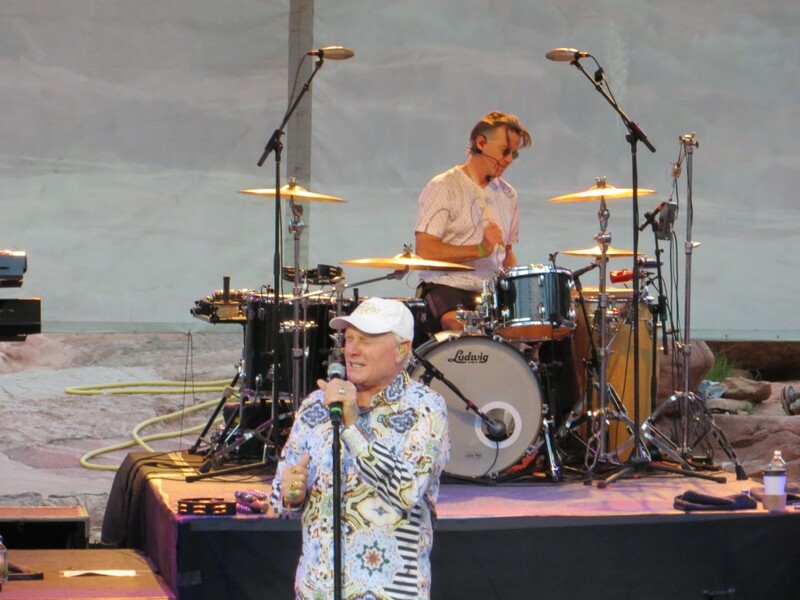 Directly following the performance of “Pisces Brothers,” the band proceeded to play “God Only Knows,” a song most fans know former Beach Boy, Carl Wilson by. Wilson passed away in 1998 to lung cancer, but his memory still lives on through the Beach Boys. 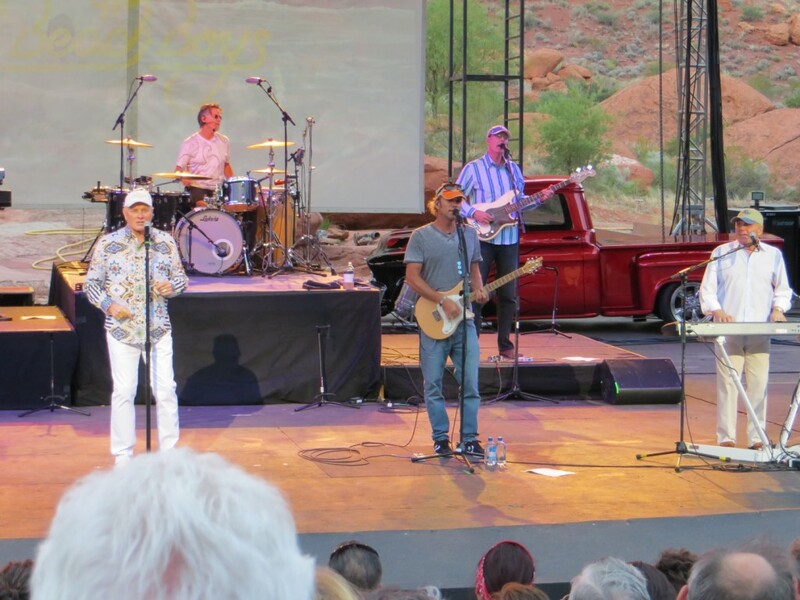 The band sang backup vocals and provided accompaniment while Wilson’s voice was heard over the speaker system and video of him singing the song was portrayed on the screen. These unique performing moments added a production quality to the concert that just great music cannot provide. 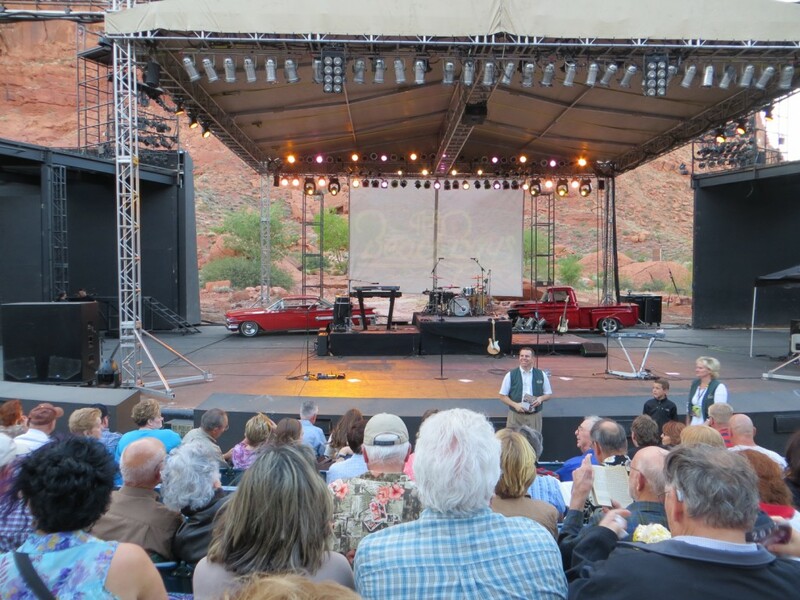 Tickets are still available for Saturday night’s concert, but availability is limited. When: Saturday, May 10, 8 p.m. Does anybody know if the BBs had to cancel last night? I assume so, since the weather was awful!